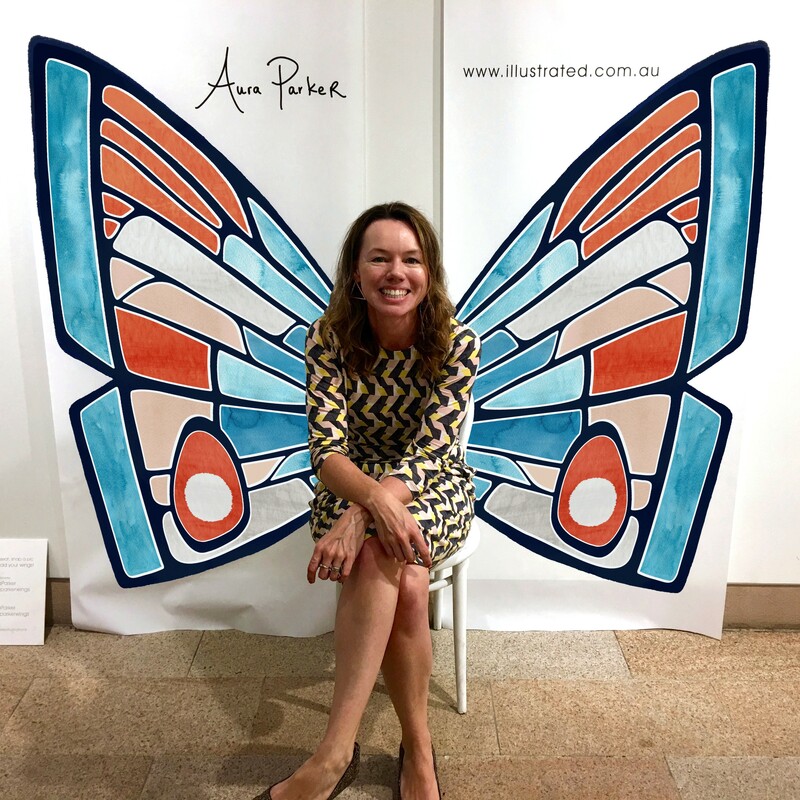 Aura Parker is an author and illustrator who is certainly going places – and I don’t just say this because I ran into her at the airport recently! 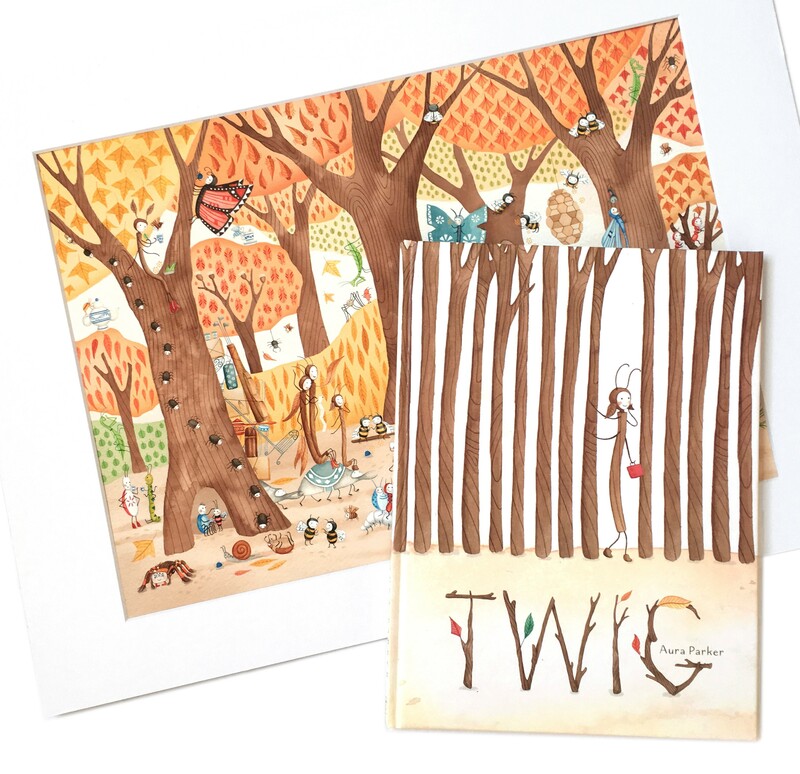 Her picture book Twig (her first as author and illustrator) has been published internationally as well as recognized nationally as a Notable book in the CBCA Book of the year awards 2017. She has another picture book due out later this year (Cocoon) and a further two contracted. She has recently signed with Pippa Masson at Curtis Brown literary agency, along with some of the greats of kid’s lit in this country. Aura Parker is certainly one to watch! I’m sure we can learn a lot from her story. I am fortunate to have met Aura at my local CBCA sub branch meetings. 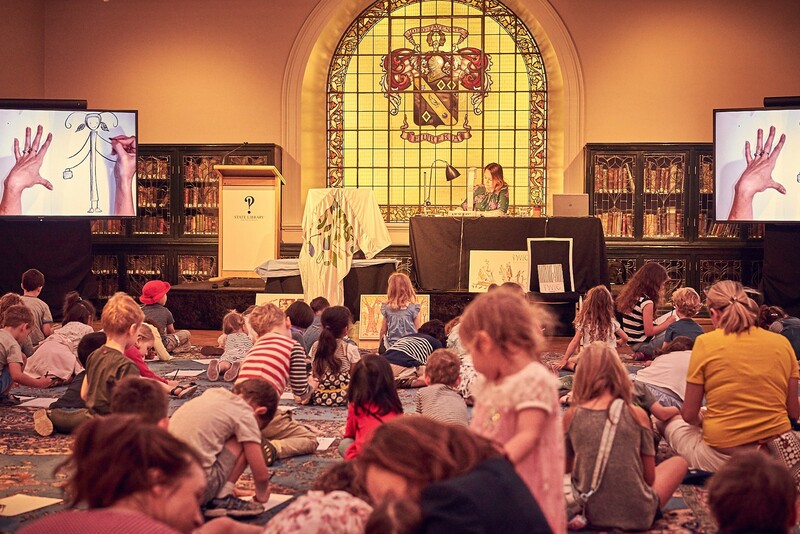 She is humble, warm and friendly with an impish sense of humour and a big passion for art, stories and engaging children in both. So much so that she even bought some stick insects to give her presentations that WOW factor. Aura exudes gentleness and calm despite being circumnavigated by crawling insects! She certainly goes above and beyond! Aura, thank you for being interviewed! Thank you for sharing my story. Can we start at the beginning with what sparked your interest in writing/illustrating for kids? Writing and drawing are two things I have done compulsively my entire life and I have always wanted to write for kids because I love stories and am interested in exploring picture books as an art form. The world is new and amazing through a child’s eyes and they appreciate silliness and wonder in everyday things. I am holding onto that! One of the things I love about the children’s book industry is that I can harp on about an idea that’s completely out of left field – walking, talking cockroach twins or a crazy contraption – and nobody even bats an eyelid!? I think I’ve finally found my groove. You seem to have broken into the industry pretty quickly. Can you tell us about that? As I am writing this, I just moved house and studio and uncovered a blazing trail of old sketches, which reminds me of all the time it took to develop my style and voice, so I didn’t necessarily break in quickly. In a nutshell, things took off for me when I wrote new things, made a new portfolio, put more of my work online and started getting out and about. There are a lot of friendly, passionate, creative folks in this industry who have helped me on my way. I have always been quite contained with sharing my stories, but opening up and seeking feedback has helped my writing grow leaps and bounds. I get scared my ideas may stink and sink and some of them will! It’s scary sending your writing off, but you have to put yourself out there if you want someone to publish it. They need to be convinced that you have the skill and passion to get behind your work. Once you are out of your comfort zone and don’t hold back the good stuff comes! So true – you’ve got to move past being scared to achieve anything in life, really! Creating the illustrations for a picture book requires a particular set of skills over and above being an artist. How did you develop these particular? Did it grow from your background as an artist, graphic designer and your textile work? Breaking into kids’ books demands portfolio of a particular kind. It’s great if you can draw people and animals but they have to be in a scene, and most importantly they need to be expressive, so the reader can instantly see how the character is feeling. They also need to be interacting with each other in the imaginary world of the book, which you will need to invent. My previous work as an illustrator and graphic designer helped pave the way as I have designed characters and book covers, and the sense of timing and pacing in animation lends itself well to illustrating a picture book narrative, where you need to think about page turns and how to best tell the story in 32 pages. I also design and exhibit textiles and working with colour and pattern flowed nicely into the books. Sometimes I draw or paint things a few times over before they feel right. Certainly reading picture books, visiting bookstores, making illustrations in my own time and developing the craft of writing, by writing! And rewriting has helped! I am not sure if there is any other way except to do the work. Check out the insect in the hair!!! How did you first get noticed by publishers? Had you sent material out? Did you have an online presence? I have a website to showcase my work www.illustrated.com.au I am on social media and share my work in progress on Instagram @auraparker Facebook and Twitter. Instagram is particularly great for creatives and I love seeing what others are up to. I have made connections with illustrators on the other side of the world, which is wonderful. I used to share images in The 52 Week Illustration Challenge. In the beginning I emailed my portfolio to publishers and I made a postcard to send out. My first picture book illustration project came out of attending the SCBWI Conference. So again, lots of work to put yourself ‘out there’ and making connections! Your first book as author and illustrator is published by Scholastic. How did that come about? I met Susanne Gervay and put a portfolio of my work in the Illustrator Showcase at the SCBWI Conference in 2014 and from there publishers found my work. I recommend joining SCBWI if you are looking to connect with children’s book creators and publishers. I did a portfolio critique with hugely talented Bruce Whatley, which really helped me on the way as he suggested I get in touch with Scholastic. I have done a lot of work on the projects which are going ahead, but I can’t tell you if I was just sitting in my chair working or if I was out in the night leaping from star to star! In the case of Twig I sketched roughs for the entire book and made concept art to show the direction I had in mind. It is tricky to know how much work to do on something; they are manuscripts so there is always potential for more and for things to evolve. Twig has had fantastic success! CBCA Notable, and it has rights deals in USA, Canada (English), Canada (French), China (Chinese), South Korea (Korean) and Asia – even with a read-along-in-English CD – I think that’s so cool! Were you somehow involved in helping forge these rights or did that all happen ‘behind the scenes’ of the publishing house? 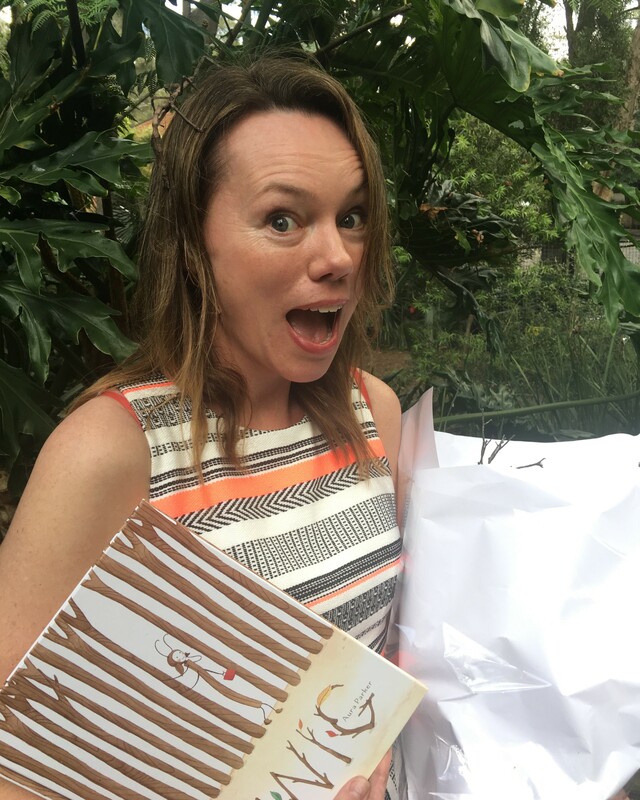 The deals were made by Scholastic Australia’s rights team and it is a pleasant surprise to hear via email once things are finalized. In the case of the USA deal I heard earlier (at the offer stage) as there were a couple of offers and we went with Simon and Schuster. How do you know when a manuscript is ready to submit to a publisher? What feedback do you get and from whom? My partner is very supportive and always the first port of call to read my work. He’s pretty good at telling me what is working and what stinks too! These days, I have a writer friend Coral Vass who sometimes reads my stories and gives me feedback. She is great because she is both specific and encouraging. My publisher at Scholastic, Rebecca Young has been generous at giving me feedback along the way. I have an agent, Pippa Masson who will read my work now too. You aren’t supposed to say that you get your mum and your own kids to read your stories, that’s a big no-no, but Sssssssssh! I do! Mum is always good for a proof read… Mum LOVES everything. Thank you Mum! My own kids aren’t necessarily critics, but they are part of the journey and it is fun sharing early versions with them too. I am grateful to my family for putting up with me banging on about Bug School for so long and for coming along and supporting me. When an idea strikes I am usually struck with writer’s euphoria – it is really exciting! I can tell you that my manuscripts feel like hot potatoes when the idea is new. If you want to stop those hot potatoes from flinging back in your face like a boomerang then it certainly pays to hold onto them for longer. Can you imagine being a publisher and having hot potatoes flung at you all day? It couldn’t be that much fun. Make sure what you send is the best you can do. Are you, like me, enjoying Aura’s helpful advice and insights peppered with her characteristic sense of humour? Then tune in next month when Aura tells us more about the publication of her upcoming books. I can hardly wait! In the mean time, you can find Aura online here and me here. Thanks so much, Shelly. Aura is amazing!